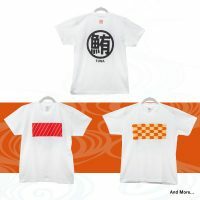 We offer the following original products using KANJI with unique and fashionable designs. 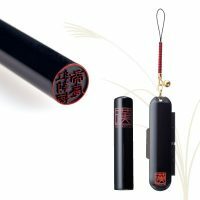 A stamp seal which we use in everyday life in Japan. It can be made in your own name and comes with its own original case. Historically, this was a placard posted on the gates of shrines and temples. 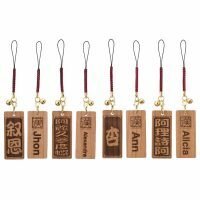 It can be made in your own name and comes with a strap in a modern design. 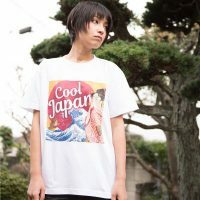 Japanese-themed T-shirts in graphic, fashionable and sometimes nostalgic designs. 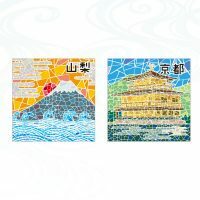 Japanese-themed tile magnets with mosaic print. 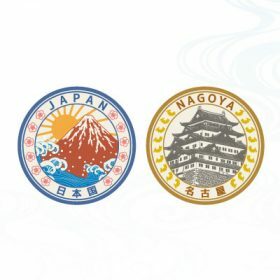 Button badges with national flag designs and country names in Kanji. 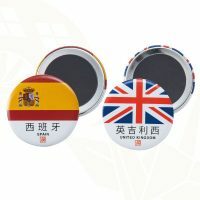 Button magnets with national flag designs and country names in Kanji. 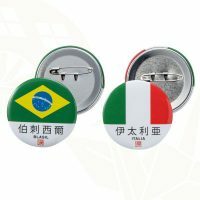 Pin badges with English and other foreign names in Seigaiha Kanji font.